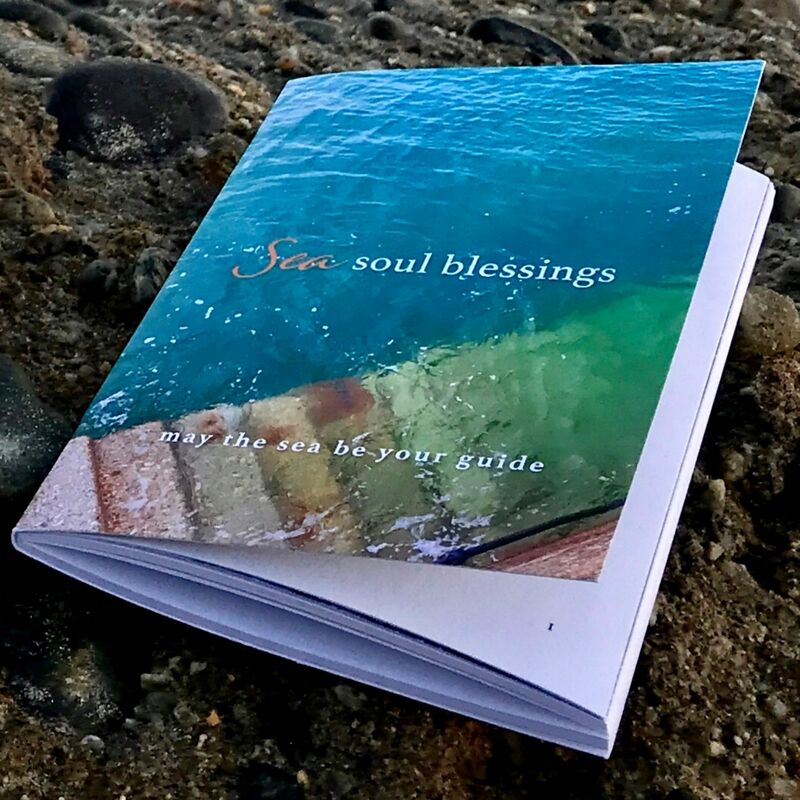 A hard copy of the Sea Soul Blessings mini book: use on its own for simple inspiration, or to accompany a set of Sea Soul Blessings cards. All of the Sea Soul Blessing cards are described in the book: it includes a deeper interpretation and a circle of additional blessings for each of these. 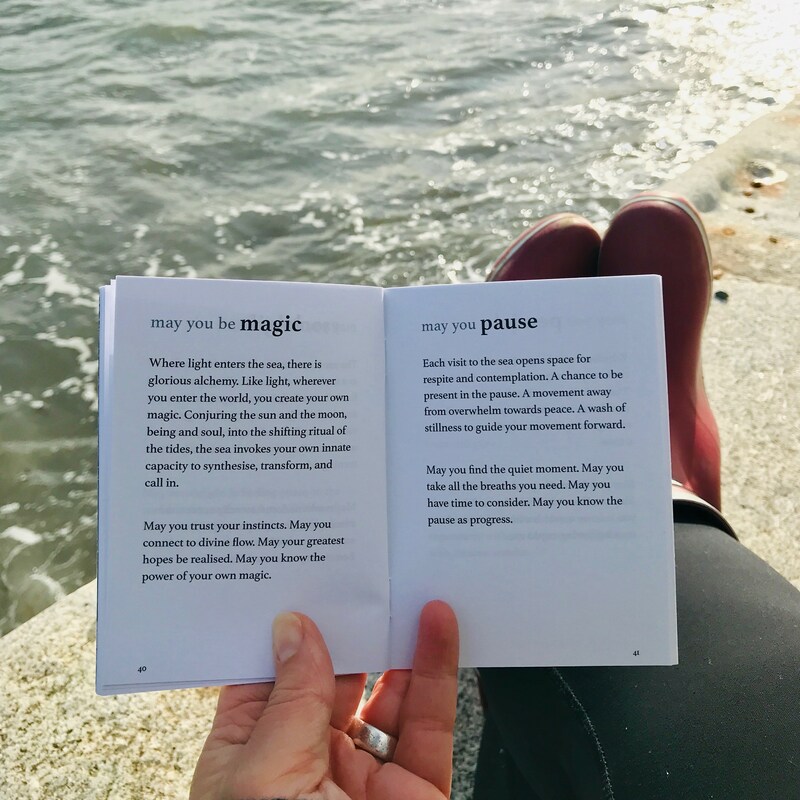 It also shares some ideas for ways to start using your cards - to guide you to move forward, and as a tool to create your own simple daily self-compassion practice. The mini book complements the full set of cards, furthering your understanding of these, but it also offers value and insight as a standalone resource. 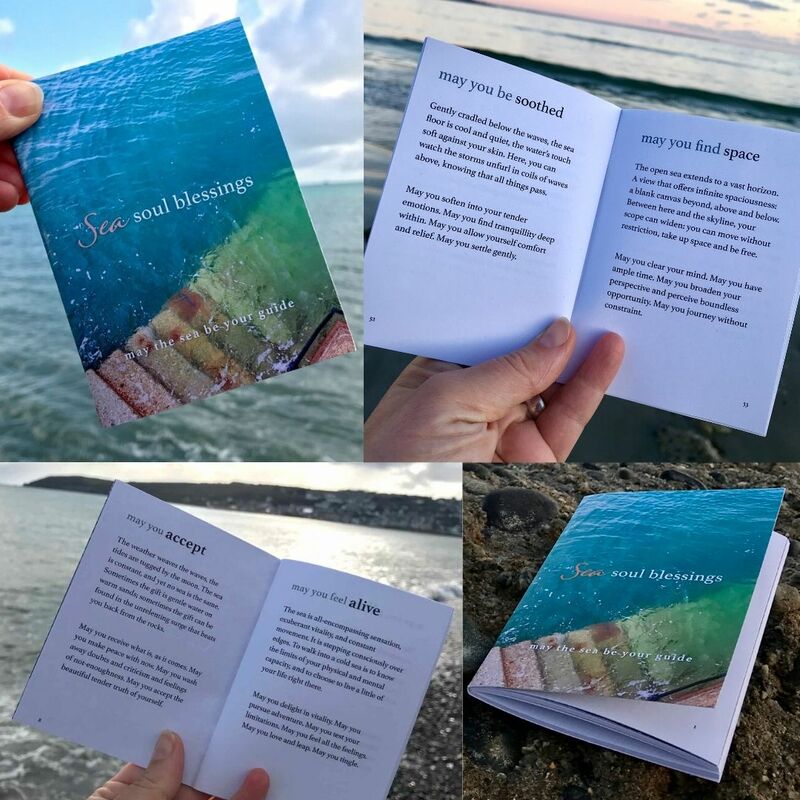 If you don't have a set of Sea Soul Blessing cards, you could simply flick through the pages of this book to notice which message calls to you from the sea today.